With the announcement of a Superman/Batman film, it would seem that DC and Warner Bros. are inching ever closer to realising theJustice League on the big screen. 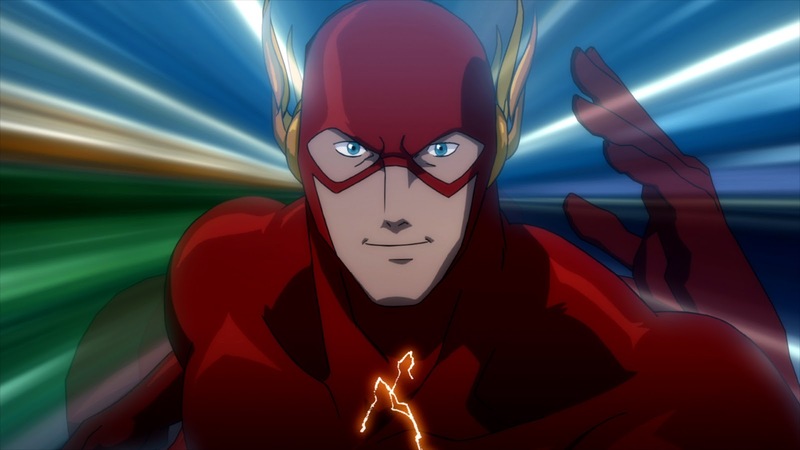 That would likely herald the live action debut of the Flash; the ‘fastest man alive’ has long been a fan-favourite character, but rumours of a solo film have been more off than on. 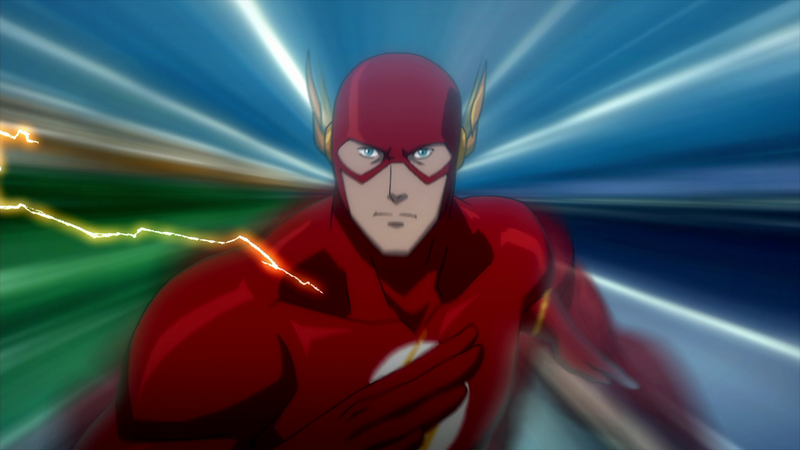 With Justice League: The Flashpoint Paradox, the DC animated universe gives us the next best thing, in doing so giving the scarlet speedster some well-deserved spotlight. Sticking closely to Geoff Johns and Adam Kubert’s well-received Flashpoint (2011) comic, the Flash-centric story begins with an exciting prologue which sees the hero team up with the rest of the Justice League to take down his rogues. The following day, Flash wakes up in an unfamiliar world. He soon finds that he is powerless, the Justice League has never been formed, and Wonder Woman and Aquaman are about to start World War Three. To detail the other twists would be spoiling the experience for those who haven’t read the comic, but viewers will doubtless enjoy discovering what has stayed the same and what has changed. This is definitely one of the more intriguing ‘What If’ scenarios that DC has produced, and watching characters you know and love do things they wouldn’t normally do is just as appealing in animated form as it was in the comic. Whilst there are numerous indicators of just how grave the situation is on this new world, the larger threat is nicely juxtaposed by Flash’s journey. His relationship with his Mother gives the film heart, and the lesson that he must learn is an invaluable one. Justin Chambers does a great job with these earnest scenes but is at his best when Flash is in hero mode, tweaking his voice as and when appropriate. Conversely, C. Thomas Howell imbues Reverse Flash with suitable malice from the outset. The other standout in the voice department is Kevin McKidd as the Flashpoint Batman. This version of The Dark Knight is even grumpier than the one we’re accustomed too, and his arc is just as engaging as Flash’s. Director Jay Oliva has done a great job of not only discarding and minimizing some of the comic’s non-essential plot beats, but also expanding on the significant events. Much of that expansion comes in the form of the impressive action set pieces, which features some welcome cameos from the DC universe. Whilst some of the character models leave much to be desired, the action is just as fast-paced and strikingly choreographed as we’ve come to expect, and Flash’s powers in particular are superbly animated. It should be noted however that this is a very violent film, at times unnecessarily so. DC has ventured into dark territory before with its previous titles, but The Flashpoint Paradox oversteps to the point that it gives you pause for thought. In this regard, the final battle is particularly gratuitous, and pushes the boundaries of what should be in a PG-13 movie. Regardless, this is still another strong entry in the DCAU that will satisfy fans of the speedster as well as newcomers. Should a live action Flash movie ever come to pass, this will serve as an excellent reference point. This review was originally published at Hey U Guys. This entry was posted on August 14, 2013 by Amonymous. It was filed under Film Reviews and was tagged with C. Thomas Howell, Cary Elwes, Jay Oliva, Justice League: The Flashpoint Paradox, Justin Chambers, Kevin Mckidd, Michael B. Jordan, Nathan Fillion, Ron Perlman, The Flash.